Gavronksi Knocks Out Louishomme at ‘Battle at the Boat 100′! TACOMA, WA — Brian Halquist Productions celebrated their milestone 100th Battle at the Boat this past Saturday night at the Emerald Queen Casino. 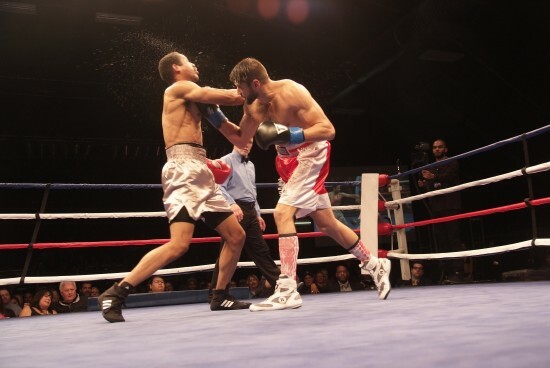 The long running series has remained the premier venue for boxing in the Pacific Northwest for nearly two decades and continues to give fans some of the best fights featuring local talent and national stars. For this monumental 100th edition, promoter Brian Halquist and match-maker Andy Nance lined up six well-matched, exciting fights that featured some of the best prospects in the region. 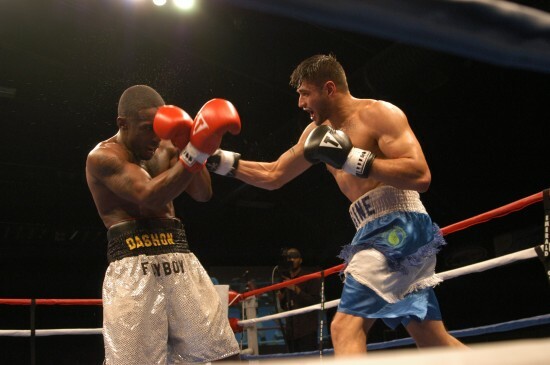 In the main event, the very popular Mike Gavronksi returned for his third consecutive headline bout at the venue and claimed a hard-fought seventh round TKO over the quick and crafty Maurice Louishomme in a highly entertaining fight. Rose (left) fires at Johnson. 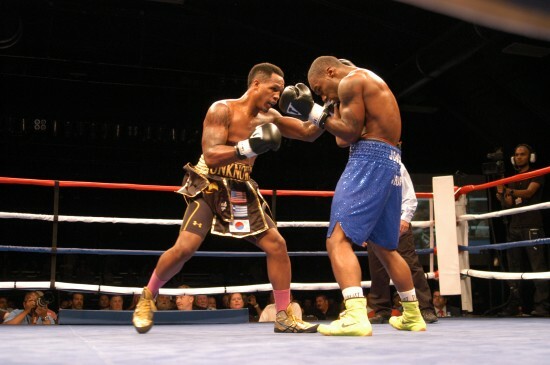 TACOMA, WA, March 19, 2014 – Top ten American cruiserweight, Stivens “Superman” Bujaj (11-0, 8 KOs), is set to make his next appearance this weekend when he takes on California’s Victor Barragan (12-7, 3 KOs) in the 10 round main event of Battle at the Boat 95 at the Emerald Queen Casino. A six bout undercard is also scheduled throughout the evening, featuring Fife’s Cameron Sevilla-Rivera (2-0, 2 KOs) and Buckley’s Jeremy McCleary (2-0) who are on the fast track since making their professional debuts.